Washington Dulles Intl. - Hopkins Intl. Get your travels off to the best start possible by learning a thing or two about University Circle before you jet off. A neighborhood in the fine city of Cleveland, University Circle is 5 miles (8 kilometers) to the east of the downtown area. There are around 400,000 people that live in Cleveland. 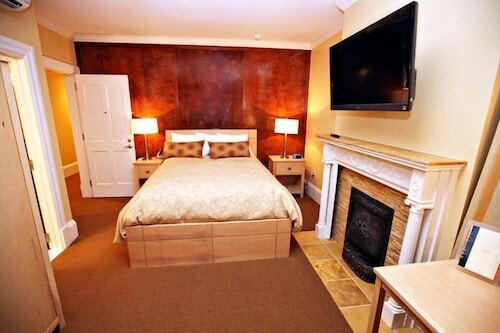 It's as easy as pie to organize a vacation in University Circle via Travelocity. Save an unbelievable amount when you secure an airfare and accommodation package. And that's not all — you can select from at least 400 airlines and 665,000 accommodations. Would you like a panic-free adventure? Our Customer 1st Guarantee gives you the advantage of 24/7 personal assistance on our services. Have you noticed an even better bargain? We'll match the price and refund the difference^. All package bookings can be changed or canceled with no charge from us. And so long as you get in fast, many accommodations won't charge you either^. 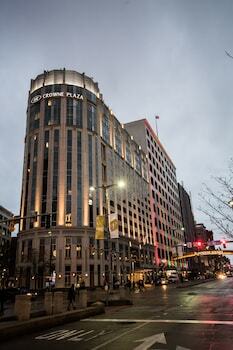 Headed to University Circle and eager to stay where all the action is? Travelocity has your back. Select from 5 properties which are just a walk from the center of this unique neighborhood. 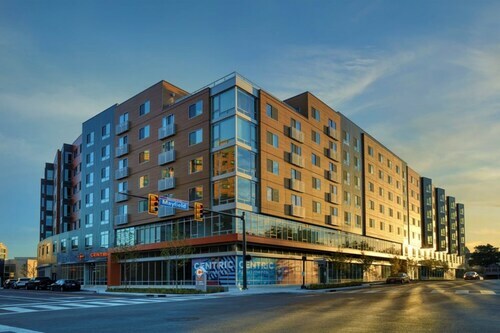 Two of the most appealing options in this neighborhood are the InterContinental Cleveland (9801 Carnegie Ave) and the Washington Place Bistro & Inn (2203 Cornell Road). Where do you fly into for University Circle? Are you ready to throw yourself into your next amazing adventure? Well, University Circle is approximately 14 miles (23 kilometers) from Hopkins International Airport (CLE). Can I rent a car in University Circle? Plane tickets to University Circle? Check. Road trip playlists? Check. Now the only thing left is to pick a rental car via Travelocity. You'll be driving down the highway in no time! Savvy jetsetters stroll off the plane and pick up a car within the Hopkins International Airport area. Dollar Rent A Car and Thrifty Car Rental are two options in the vicinity. Make a beeline for Enterprise and you'll be cruising around the busy streets in a jiffy. They can be found at 3200 Mayfield Rd, just 2 miles (3 kilometers) from the middle of the city. This neighborhood provides easy access to the Cleveland Museum of Art. Add it to your vacation to-do list — you won't regret it! Whether you fancy yourself a scholarly type or you simply want to discover a bit more about the region's long history of academics, Case Western Reserve University is guaranteed to enlighten and educate. Seeking more nearby options? Our planet is bursting with wondrous creatures, plants and discoveries. An outing to Cleveland Museum of Natural History will shine a light on the science of the natural world. And that's not all. There's few things more enlightening than magnificent, time-honored education institutions. Cleveland Institute of Art has a proud tradition of rearing the leaders of tomorrow. Asiatown is a good place to visit while you are in University Circle. You'll find it around 2 miles (3 kilometers) away. 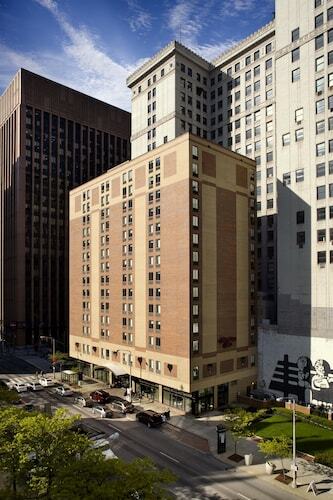 Located in University Circle, this historic hotel is within a 15-minute walk of Children's Museum of Cleveland, Cleveland Clinic, and Case Western Reserve University. Cleveland Museum of Art and University Hospitals of Cleveland are also within 15 minutes. University Circle Station is 9 minutes by foot and East 105th-Quincy Station is 14 minutes. 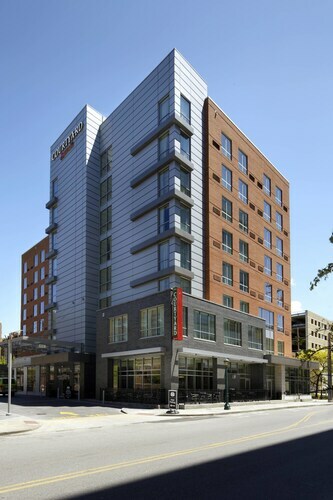 Located in University Circle, this hotel is within a 10-minute walk of University Hospitals of Cleveland, Case Western Reserve University, and Cleveland Museum of Art. Cleveland Clinic is 1 mi (1.5 km) away. Euclid-East 120th Station is 9 minutes by foot and University Circle Station is 15 minutes. 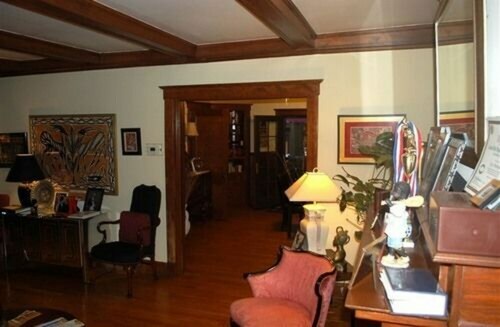 Located in University Circle, this apartment building is within a 10-minute walk of Little Italy Historical Museum and University Hospitals of Cleveland. Case Western Reserve University and Cleveland Museum of Art are also within 15 minutes. Euclid-East 120th Station is 8 minutes by foot and University Circle Station is 16 minutes. 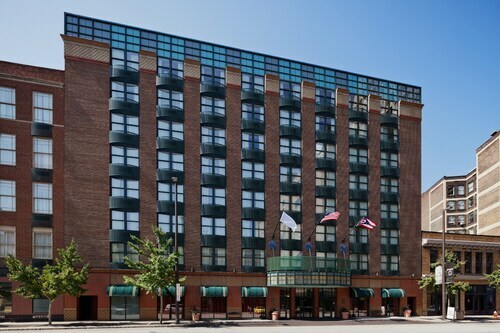 Located in University Circle, this inn is within a 10-minute walk of Little Italy Historical Museum and Case Western Reserve University. University Hospitals of Cleveland and Cleveland Museum of Art are also within 1 mi (2 km). University Circle Station is 9 minutes by foot and Euclid-East 120th Station is 14 minutes. 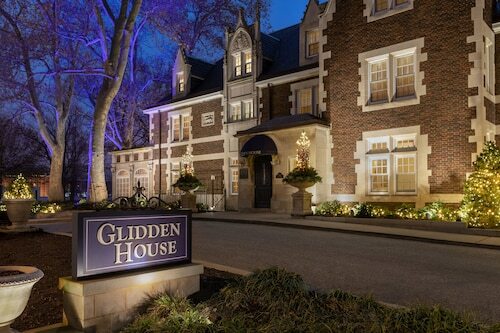 Located in University Circle, this bed & breakfast is within a 15-minute walk of Crawford Auto-Aviation Museum and Cleveland Museum of Art. University Hospitals of Cleveland and Case Western Reserve University are also within 1 mi (2 km). Euclid-East 120th Station is 18 minutes by foot and University Circle Station is 27 minutes.